You will also require a 4mm and 5mm crochet hook and removable stitch markers (optional). 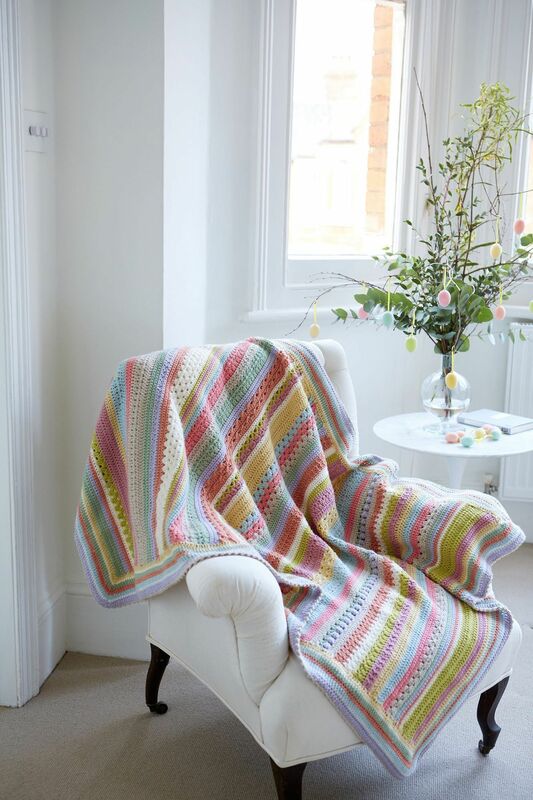 This blanket has been designed exclusively for Woman’s Weekly by Sue Rawlinson of Sweetpea Family Crochet. Complete blanket Approximately 86 x 134cm/34 x 52¾in.